This weekend, NASCAR returns to ISM Raceway. But this time, the track formerly known as Phoenix International Raceway has some upgrades. The 1.022-mile oval now features a starting line in the middle of the dogleg. View the full 2018 ISM tv schedule below. This will mark the first race weekend of the new track configuration. The starting line and the grandstands have both been swapped to the other side of the race track since the series last ran here earlier in the year. It’s the final round of the NASCAR Playoffs before the Championship race next week. 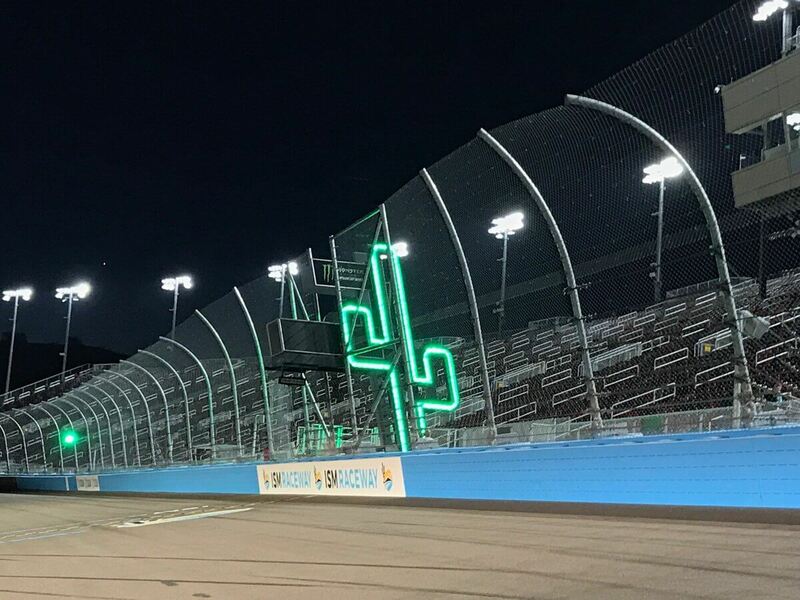 The NASCAR event at ISM Raceway will feature a triple-header weekend highlighted with the Can-Am 500 for the Monster Energy NASCAR Cup Series. Additionally, the NASCAR Xfinity Series and the NASCAR Camping World Truck Series will take to the reshaped Phoenix race track.